THE FOUNDER OF BOKO HARAM RELEASED OVER THREE HUNDRED CO-BOKO-HARAM WHILE HOLDING INNOCENT KANU AND OTHERS CAPTIVE. On the 1st of October 2016, the British Nigeria marked her 56th most shameful independence anniversary. It was indeed, the celebration of failure, blood bath, hunger and suppression. Shockingly, the original leader of the Islamic BOKO HARAM terrorist, Mr. Muhammadu Buhari, the present President of the Islamic Republic of Nigeria used the shameful anniversary to release over three hundreds of his co-Islamic Boko Haram terrorists, amid the continuous incarceration the leader of Indigenous People of Biafra, Mazi Nnamdi Kanu, Mr. Solomon Dazuki and many others which include, journalists and activists. Many has been of the opinion that Nigeria as a country has nothing to celebrate due to the level of lawlessness, corruption, brutality, starvation, and underdevelopments that has ravaged Nigeria since her so called independence. Buhari has shown and made it clear that it pleases him to celebrate the job well-done of his sponsored BOKO HARAM terrorists thereby releasing them in their hundreds. It is indeed another vindication to Mazi Nnamdi Kanu who has long ago made it clear that Muhammadu Buhari, the President of the Islamic Republic of Nigeria is the founding father of the most dreaded BOKO HARAM terrorist. It also signifies that President Buhari didn't make mistake by saying that any attack to BOKO HARAM terrorist, is an attack on the Northern people of Nigeria during the former President Goodluck Ebele Jonathan's regime. How can someone explain that this man who always agitates for help from national and international bodies to defeat BOKO HARAM terrorist is also the one releasing them? Or is he releasing them on the part of the promise he made when he established them? If not for all this, why has Muhammadu Buhari and his Daura Gestapo, DSS, chosen to illegally incarcerate innocent Nnamdi Kanu and other Biafrans and journalists/oppositions for expressing their views and rights, while at the same time, he is releasing terrorists who have killed thousands and destroyed properties worth trillions of naira? 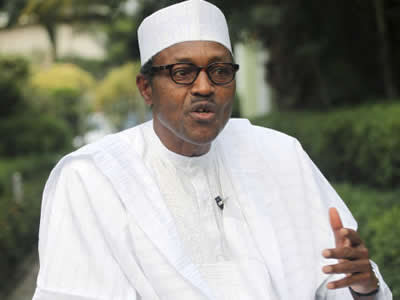 Or does it frankly mean that the only language this zoo called Nigeria understands is violence as Mr. Kanu always says? All these are questions that already have answers. Meanwhile, there was a revelation that Muhammadu Buhari in collaboration with his armed forces are recruiting BOKO HARAM terrorist into Nigeria armed forces in order to use them against Biafrans. Therefore, we are calling on the international bodies, the lovers of democracy to intervene on the plight of Biafrans as endangered species in Nigeria. Finally, the international community must find the need not to sale any military equipment to Nigeria for they are not fighting terrorism, rather they are granting amnesty to terrorists. They should also question the illegal incarceration of Mr. Nnamdi Kanu and others who are continuously held by the claws of Buhari's tyranny. President Mohammadu Buhari is an evil and wicked man. God will punish him and his entire family.